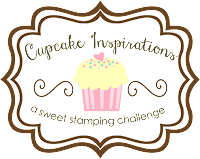 I am affiliated with many online stores, including Simon Says Stamp, Scrapbook.com and Amazon.com. If you buy products from these companies by clicking my links, I receive a small commission AT NO COST TO YOU. I buy most of my own supplies, however, occasionally I do receive some free product to work with. I only use products that I like and I never recommend products that I don’t use and enjoy my self.